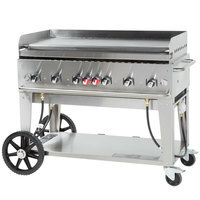 Grill up hamburgers, hot dogs, chicken, veggies, and more with a portable gas griddle from The WEBstaurant Store! 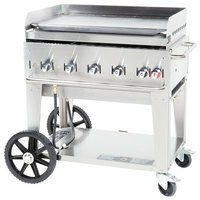 Since they don't require an electrical connection, these gas grills are the perfect solution for barbecue joints, or caterers who want to prepare freshly grilled items on site. 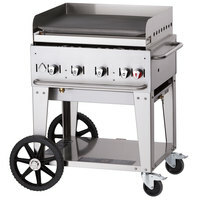 With outdoor and indoor options as well as portable or tabletop options, we have just the right gas griddle to suit your needs!